In the Unites States, more men and women die from coronary heart disease than any other condition. Heart disease typically begins with atherosclerosis, a condition in which the coronary arteries harden from a buildup of plaque. When cholesterol builds up in the coronary arteries, which carry oxygen to the heart, it hardens and forms layers of plaque. Over time, pieces of plaque may break apart, which can cause blood clots. These clots can block the blood vessels and prevent oxygen from reaching the heart, which can cause a heart attack. Similarly, clots that block vessels that supply blood to the brain can cause stroke. Plaque that builds up in or blocks vessels leading to the arms, hands, legs or feet can cause peripheral vascular disease. To find out if you have one or more risk factors for heart disease, take our questionnaire now. 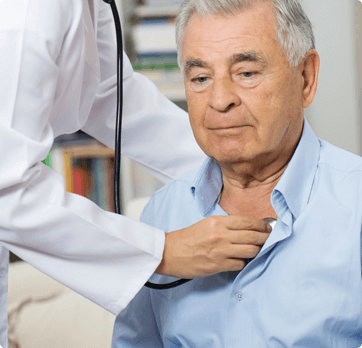 If you are at risk for heart disease and want to take control of your heart health before it’s too late, schedule an appointment with our cardiac specialist in Aventura, Florida. Call South Florida Institute for Wellness and Health at (305) 935-5101 or request an appointment online.